Jump start your newsjacking with the founder of the newsjacking movement! The private newsjacking coaching & strategy program is ideal for those who want advice on a particular newsjacking challenge or want to work with me to get started! To get the most out of the session, it is required that you understand the fundamentals of newsjacking by having already taken the Master Newsjacking course. Before our private coaching call, I review your challenge by taking a look at your website, blog, or other social media and I will study your newsjacking goals. Then we jump on a one hour telephone or Skype call where we can dig into your unique situation and issues and you can ask me questions. We'll focus on both the strategies and tactics of newjacking. This newsjacking strategy program also includes offers one month of email or social network interaction with me after the call. "Practical P.R. in the age of Twitter…"
"David, you delivered the most practical and powerful marketing presentation I’ve seen. Outstanding! Thank you!" "Like all the best teachers, ... inspires you to do your own thinking in your own way... enlightening and liberating." "Working with David was everything I hoped it would be and more. I had someone who understands the complex changing marketing landscape show me things that I just could not see about my own business. I was just too close to the strategic places in my company where I could leverage key initiatives that would play well in the marketplace as well as connect to my strongest passions. I recommend any business owner, especially seasoned business owners, take the time to work with David. One hour was worth a year of traditional coaching!" 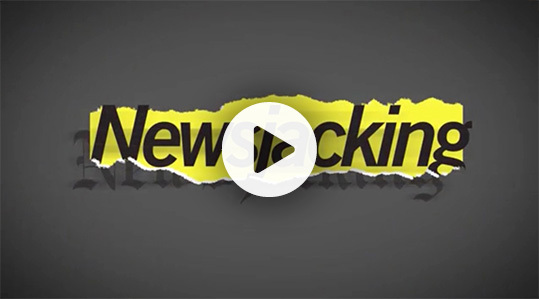 "Newsjacking is more than just a mind-set in today's real-time, hyper-connected world: it is as indispensable and fundamental a PR skill as pitching, bridging, or message development. Without the newsjacking techniques I have learned from David, I would not be able to do my job. It is as simple as that. If you don't know how to newsjack, you don't know PR." Our always-on, Web-driven world has new rules for competing and growing business. Advance planning is out – agile is IN! Those who embrace new ways will be far more successful than those who stay who stay stuck and afraid to change. My 2007 book The New Rules of Marketing & PR opened people’s eyes to the new realities of marketing and public relations on the Web. Six months on the BusinessWeek bestseller list, New Rules, now in a 5th edition, has sold over 350,000 copies in 27 languages from Arabic to Vietnamese. In 2011, I pioneered the idea of Newsjacking! The concept of newsjacking fascinated me so I researched how people were reaching the media and buyers in real-time and wrote the definitive book on the subject in 2011. Since then, I’ve refined the ideas and developed this Newsjacking eCourse in 2015. My other international bestsellers include Real-Time Marketing & PR and Marketing Lessons from the Grateful Dead (written with HubSpot CEO Brian Halligan) and my most recent book The New Rules of Sales and Service is generating tremendous buzz. I deliver an average of 40 paid speeches a year and have delivered talks on all seven continents. At every speech, I share the idea of Newsjacking and speak with many people around the world who have implemented a newsjacking strategy.